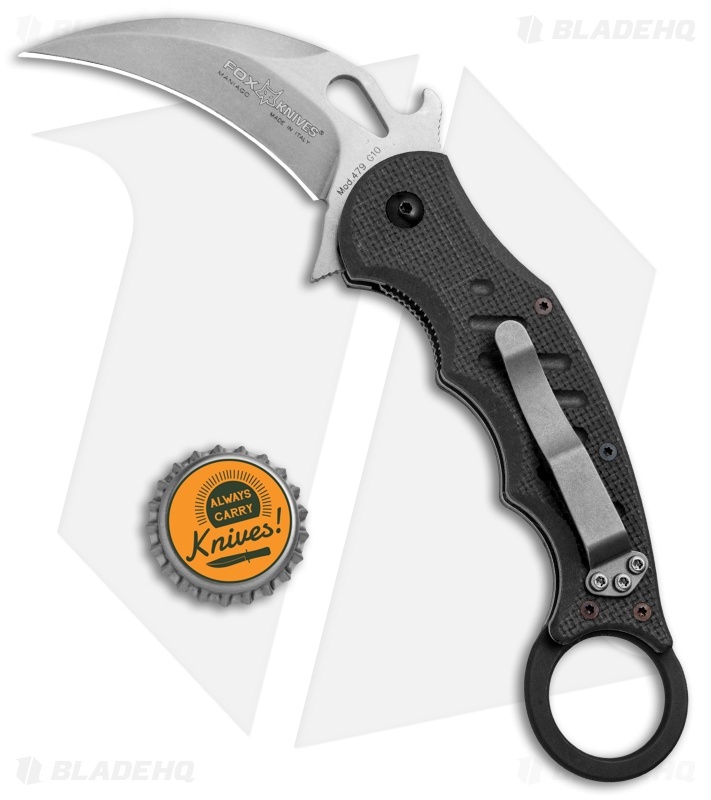 This Karambit Folder from Fox Knives features a black G10 handle with finger ring and a stonewashed N690Co steel hawkbill blade. The blade is outfitted with Emerson's patented Wave Opening feature, a flipper and thumb hole. 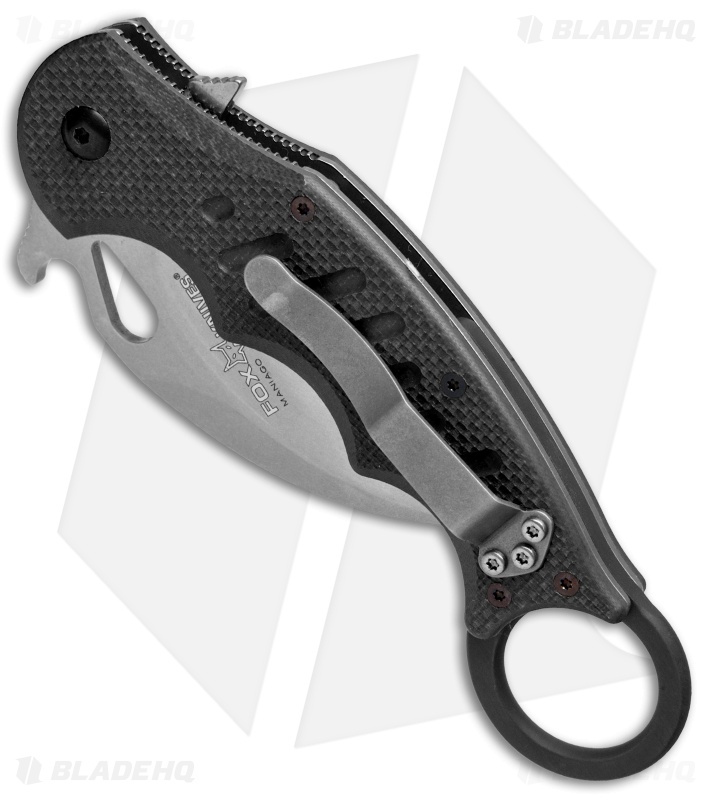 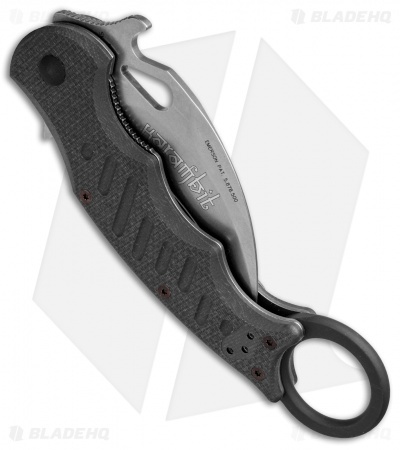 The Karambit handle has steel liners, lock tab and a tip-up carry pocket clip.